The myth of Hades, god of the underworld, is intimately connected with the myth of Demeter, Goddess of Nature, and the transformation of her daughter Persephone from innocent maiden (Kore) to Queen of the Underworld. 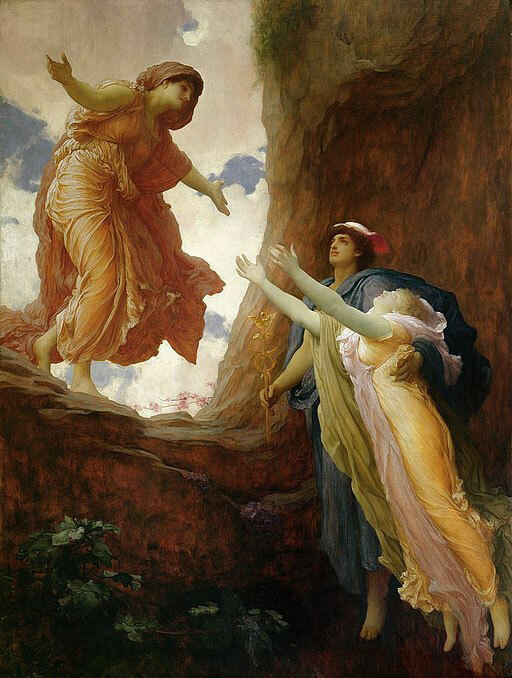 The story of Demeter and Persephone was ritually re-enacted in the Eleusinian Mysteries, secret religious rites observed annually in ancient Greece for two thousand years. They are believed to have celebrated the cyclical nature of life, the recognition that death is always followed by rebirth. It was said of those initiated at Eleusis that they emerged radically changed, freed from the fear of death, in the realisation of eternal life which lies behind the appearance of constant change. Represented in the horoscope by Pluto and its transits, recognition and acceptance of the destructive and creative power of nature, as Great Mother, is vital to transforming both ourselves and the world. By confronting our own depths, by meeting and burning through our own small inheritance of the demonised and distorted unconscious forces of Pluto, we can transform its expression in our own lives and return it to the collective as a regenerated life force.